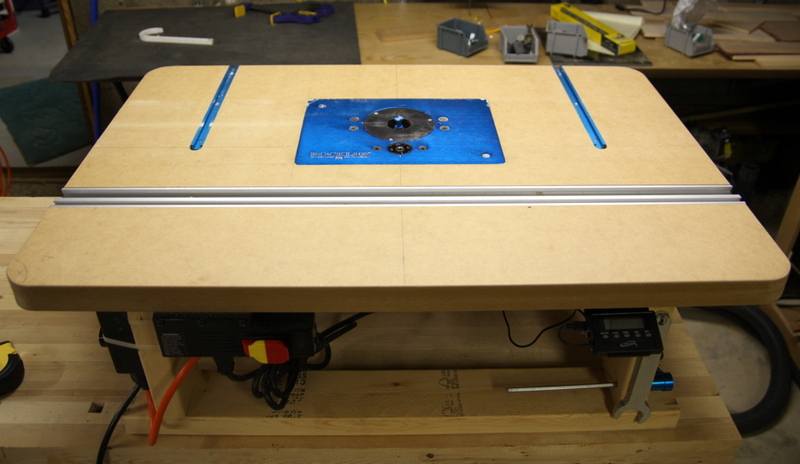 To make it easier to find all the posts about my new router table, I’ve grouped them all under a project which you can find here or by going to the projects tab and picking the router table project. Since it’s now a project, you can also choose to view the whole project on one page. 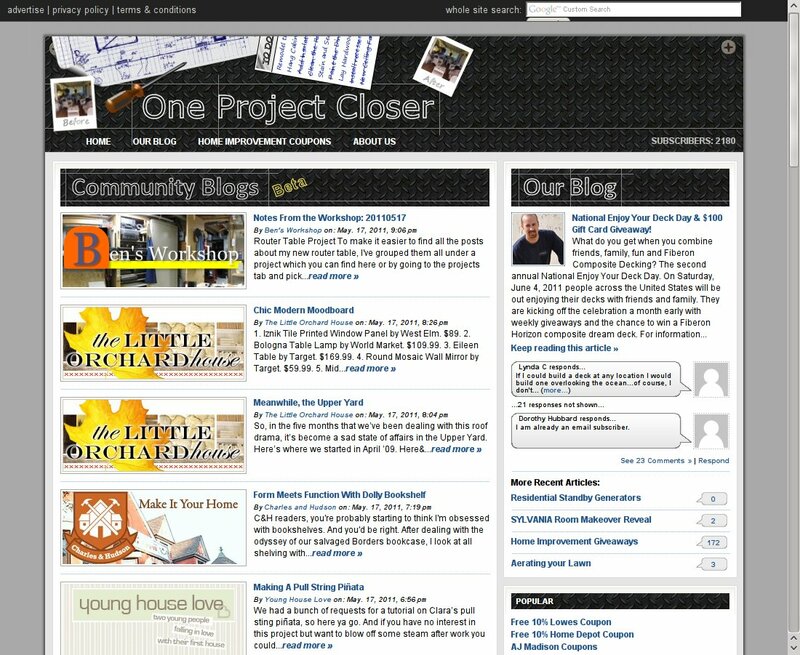 Last week I was asked by Ethan over at One Project Closer if I wanted to join the Community Blogs section. It’s a neat feature on their homepage that cycles through previews of content from a list of hand-picked blogs. It’s in Beta right now, in fact as of this writing it’s been taken off-line on the homepage, but you can still see the posts by going directly to the Community Blogs page. After writing 1315 posts for Toolmonger over four years, last week I decided to leave. Every time I see a cool tool, I still want to write a post, but I have to remind myself that I’m no longer writing there. I’d like to thank Chuck and Sean for the opportunity and Audra for unraveling some of my tongue tied writings and making them intelligible. For now I plan to use the extra time working in my shop and writing on Ben’s Workshop. We’ll see what the future brings. I always liked your posts over at TM. They weren’t just marketing pieces but useful reviews. You did good work there. I could be bias though being a fellow Minnesotan.